Consider yourself a fan of The Walking Dead? 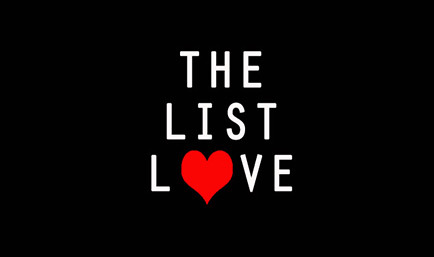 Who doesn’t! Let’s see how good a fan you are by seeing if you know any of the following facts about the hit TV show. 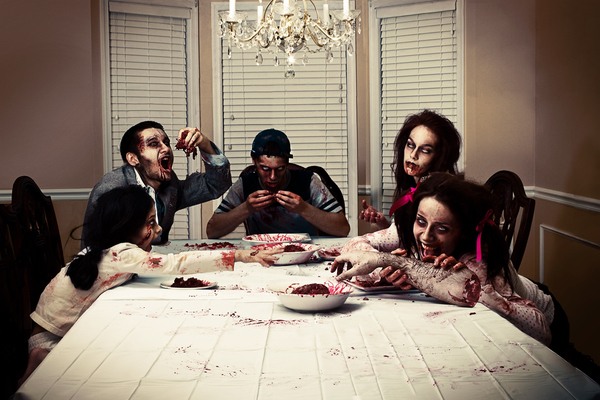 The actors playing walkers have dinner together during shooting, while the humans eat separately. We wouldn’t want to sit across the table from them either. Creepy humans! Do you remember the 13th episode of season 2? It was filmed on a really cold night, so the film editors had to digitally remove vapour from the walkers’ mouths. 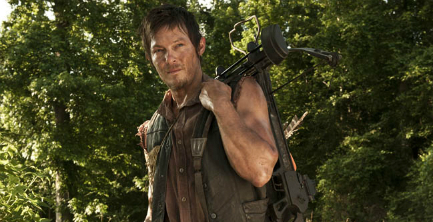 Norman Reedus, who plays Daryl Dixon, uses a Horton Scout HD crossbow, and claims to take it home with him after filming. 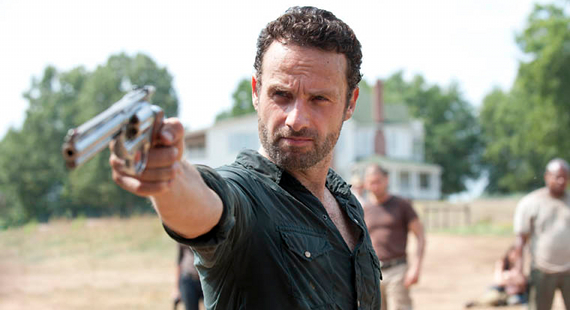 Rick has killed the most walkers in The Walking Dead, closely followed by Daryl. Remember the season 1 scene where Merle Dixon is shooting a gun off the rooftop? 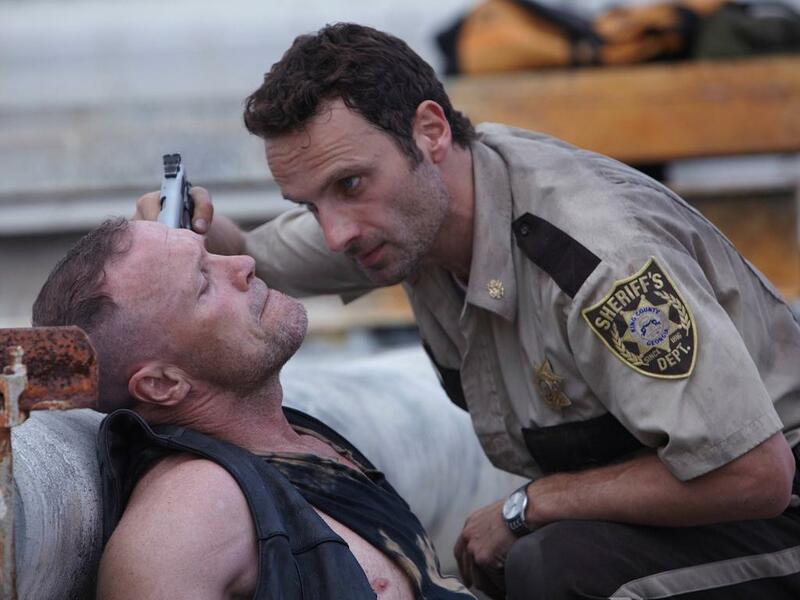 Local residents didn’t know they were filming and believed Merle Dixon was a sniper. The police were called and the SWAT team arrived “at the scene”. No arrests were made, luckily. 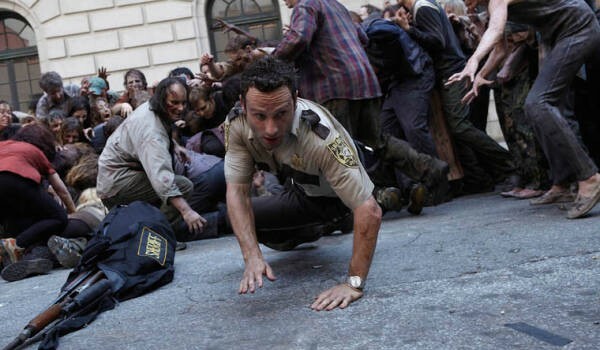 Remember the walker Rick shot in the season premiere? 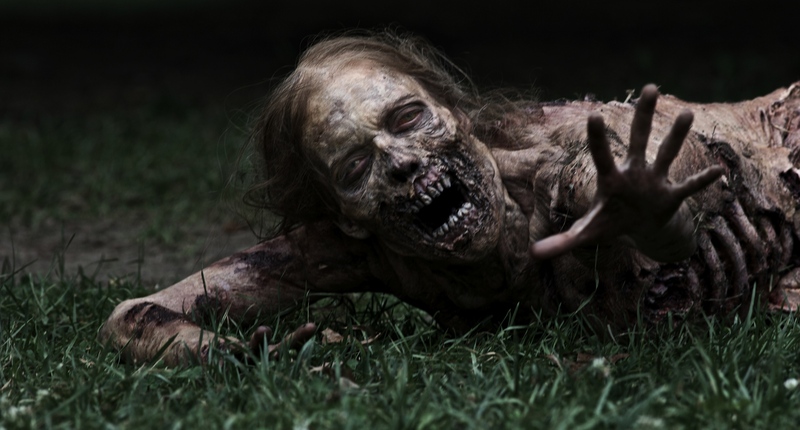 The Walking Dead released webisodes that revealed the zombie’s back-story. 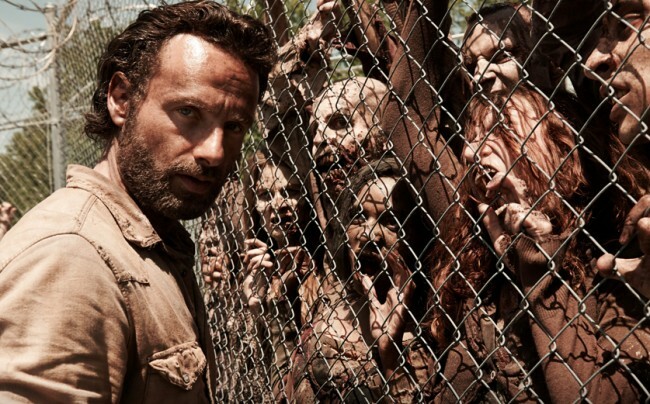 Want to know the real dangers of living in the world of The Walking Dead? 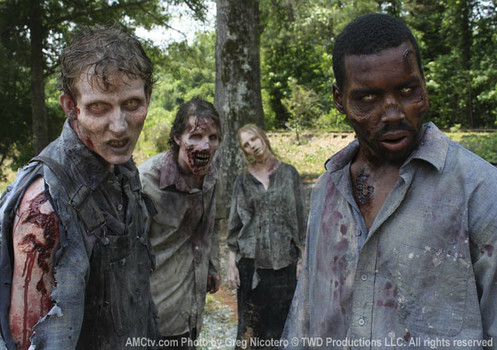 The walkers outnumber living humans by 5,000 to 1. 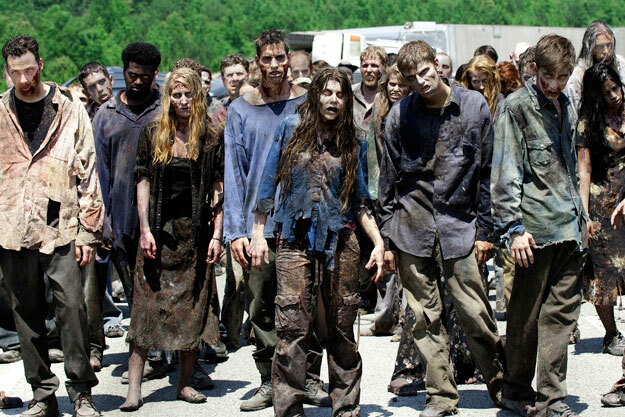 All the walkers on screen have attended “zombie school” to learn how to walk and talk just like a zombie. Now that’s something to put on your CV! Zombies aren’t just called walkers in The Walking Dead; they’re also called “roamers”, “the herd”, “lurkers”, “floaters” and “biters”. 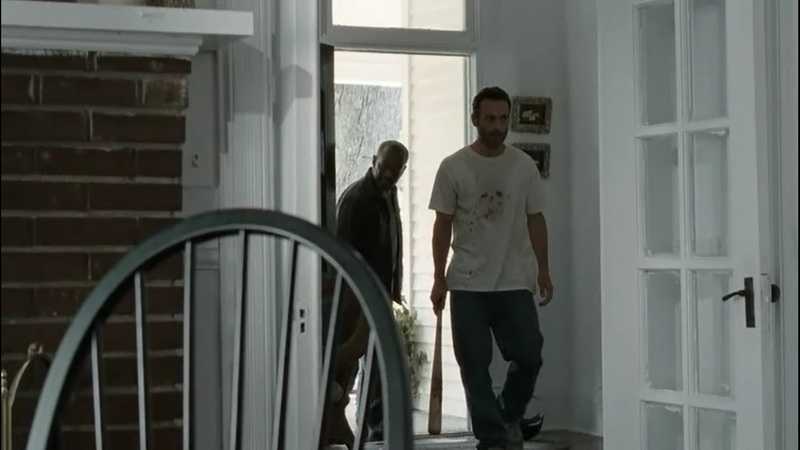 Rick’s first walker kill left a colourful blood splatter in the shape of a smiling skull on his t-shirt. Sinister. Want to read more interesting TV facts? Take a look at 10 Facts You Probably Don’t Know About The Simpsons.